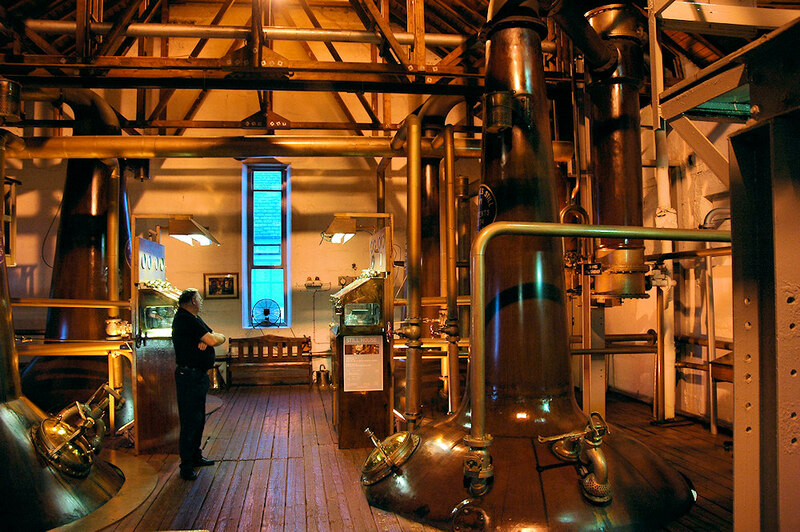 A view inside the still house at Bruichladdich distillery. This is an older picture and the view has changed a bit since. While the stills and spirit safes of course haven’t changed the floor has been replaced as well as a few other cosmetic changes.